When it comes to brownies, are you on Team Fudgy or Team Cakey? I personally prefer fudgy brownies, and this recipe certainly delivers. The greatest thing about this recipe is that it is nearly as simple as using boxed mix, but the results are far superior. Preparation is a breeze, and the result is a decadent, fudgy brownie with a gorgeous crisp top. 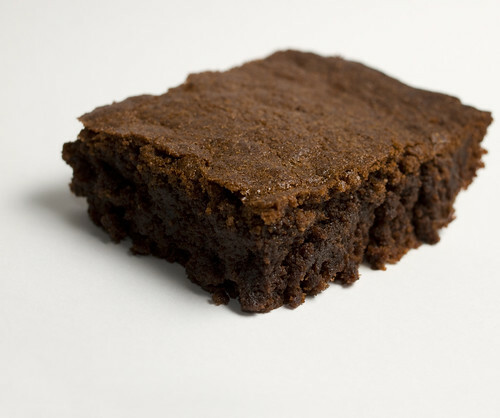 This recipe is based on the King Arthur Flour brownie recipe that’s been floating around the internet for ages now. I made a few changes and simplified the process a bit, and the result is a fail safe recipe for a brownie anyone on Team Fudgy would enjoy.